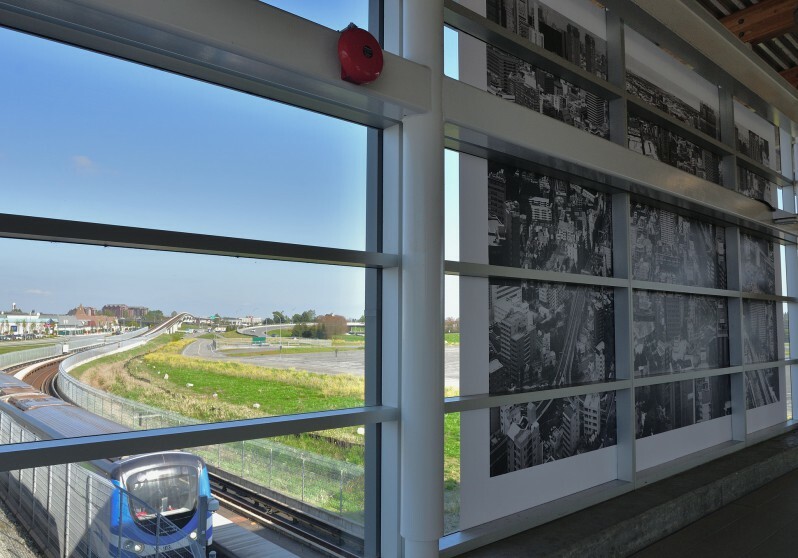 A photo montage documenting urban landscapes from Seoul, Vancouver, Busan, and Tokyo by Korean artist Seung Woo Back, Re-Establishing Shot was on display at Templeton Station, a rapid transit stop in Richmond, British Columbia. During his artist residency at the Vancouver Biennale in 2014, Seung Woo Back documented the industrial landscape of Vancouver as part of a developing global narrative about the generalizing trend of popular culture, urban architecture and identity, in which differences, distinctions, and tastes are melded into a singular seamless whole. This artwork pieces photo fragments from various places, perspectives, and narratives, assembled together as one. However, upon closer inspection, the images do not contain a fluid visual continuity but rather end abruptly, causing an optical break. 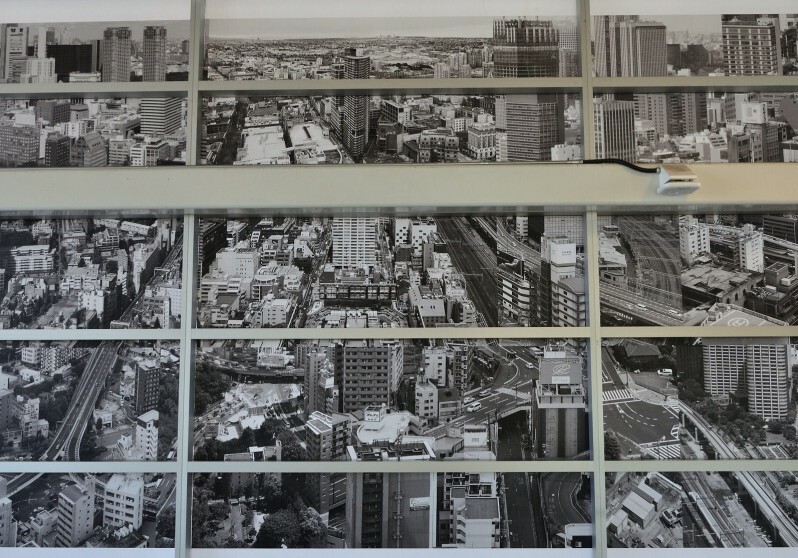 This large-scale image draws the viewer in with its unusual perspective of an assembled urban landscape, yet, as with the artist’s previous Vancouver Biennale installation Cross Vancouver, it does not provide clues to a specific location and leaves the viewer curious as to which city he or she is engaging with. 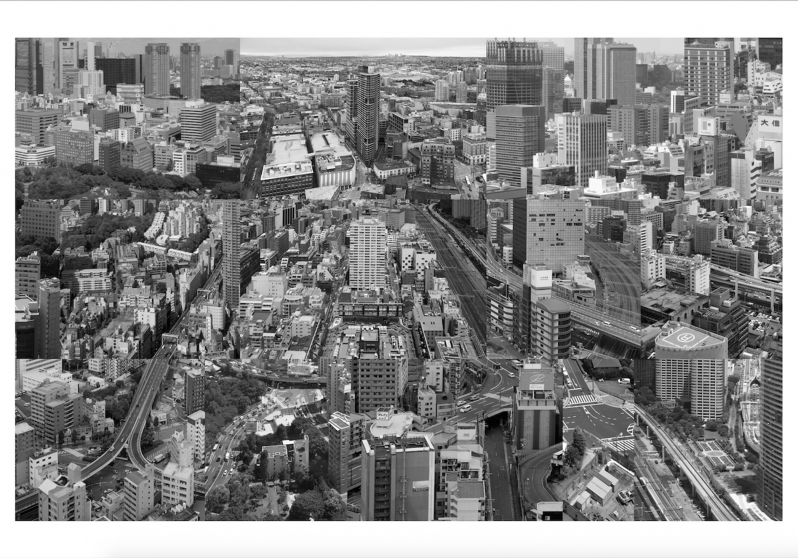 The urban landscape in Re-Establishing Shot cannot be located and, without any historic or social context, leaves us with a floating narrative of a generalized encounter. The Vancouver Biennale gratefully acknowledges the support of Capture Photography Festival, Vancouver International Airport (YVR), and Canada Line.